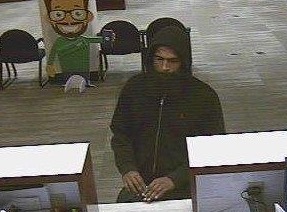 The Camden County Prosecutor’s Office and Collingswood Police Department are seeking the public’s assistance in identifying a man who robbed a bank today. 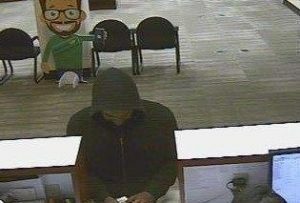 The suspect entered the Ocean First Bank located at 627 Haddon Avenue in Collingswood at approximately 2:48 p.m. and passed a demand note to a teller. After receiving an undisclosed amount of cash, he fled the scene in an unknown direction. No weapon was displayed, and no one was injured. 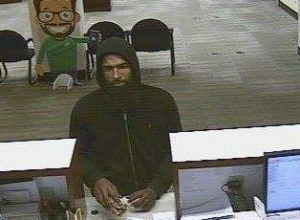 The suspect is described as a black male with an average build with a beard. 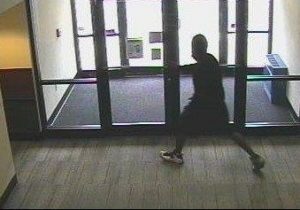 He was seen wearing a black zip up hooded sweatshirt with black shorts and white hi-top sneakers with black accents. Anyone with information is urged to contact Camden County Prosecutor’s Office Elvin Nunez at (856) 614-8078 or Collingswood Police Department Detective Sergeant William Lyons at (856) 854-1901.